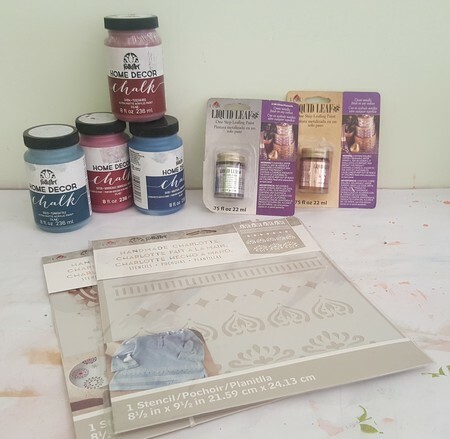 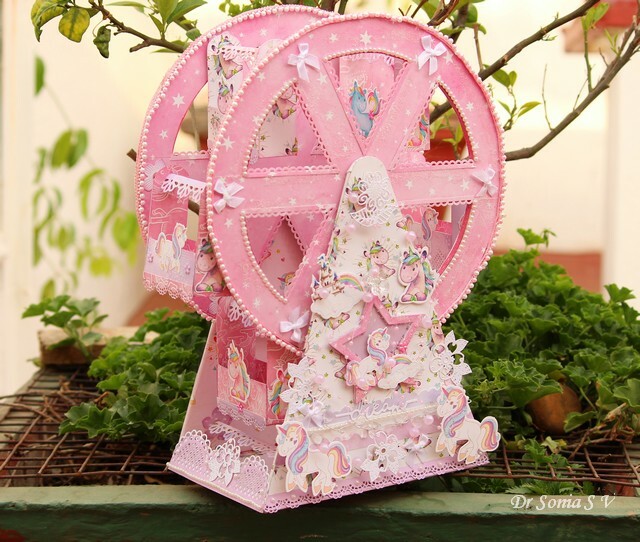 Hi crafters...Dr Sonia here with a project very special to my heart as I made it for my daughter.It is a huge Ferris wheel made out of chipboard and gorgeous Magical Unicorns papers and diecuts from Dress My Craft . 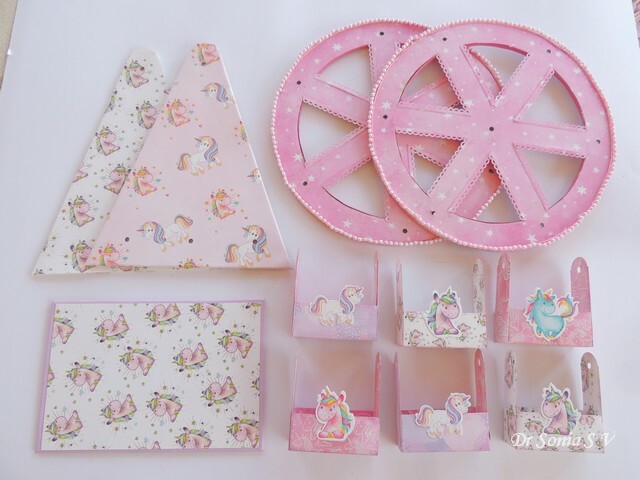 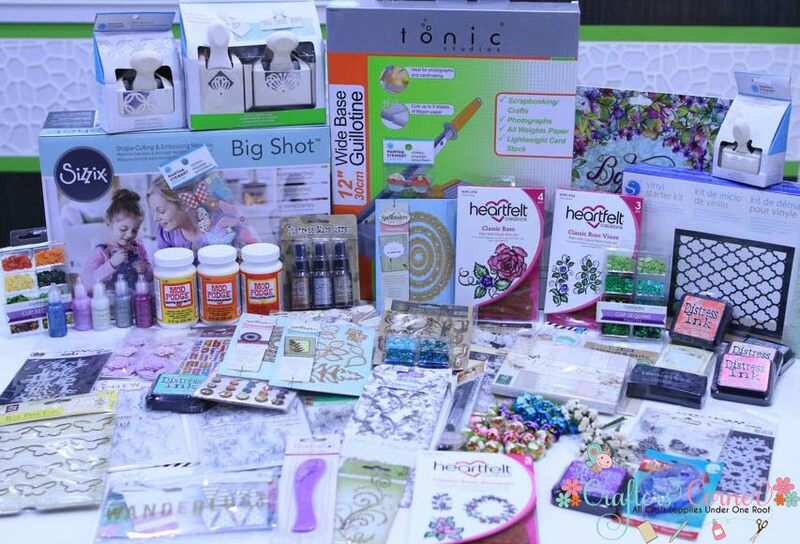 The front of the Ferris wheel has different cute unicorns, lacy flower die cuts[ from Dress My Craft ] and a cute shaker star . 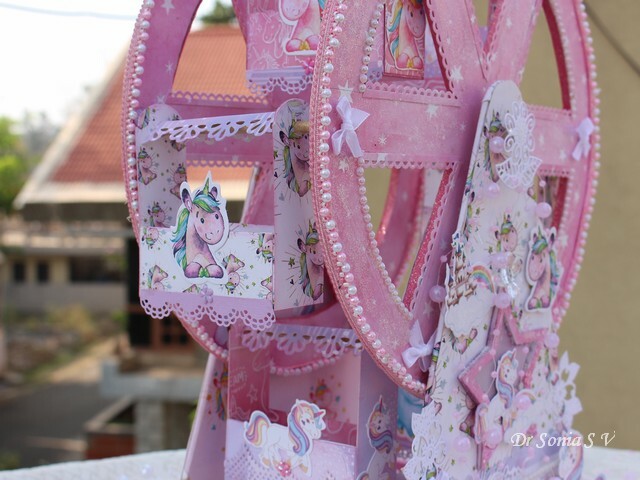 The Ferris wheel has 6 carriages featuring magical unicorns. 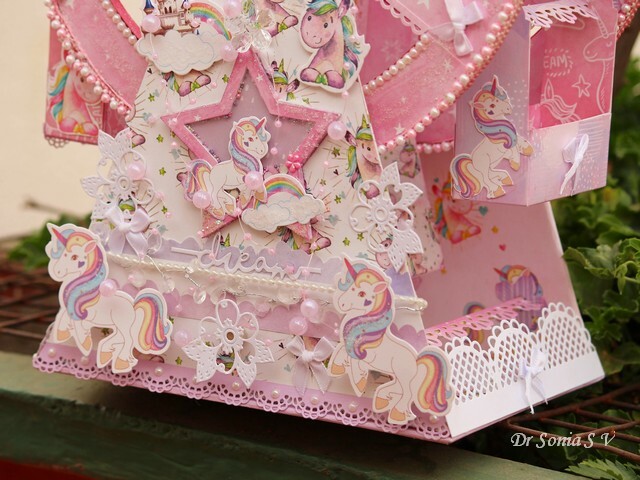 All the sides of the Ferris Wheel are covered with the same paper pack- Magical Unicorns and each wooden dowel rests inside a Dress My Craft Sentiment Flower diecut. 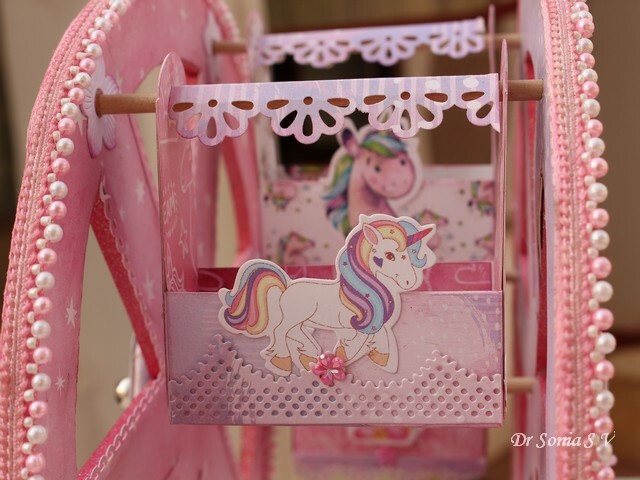 The carriages swing beautifully as the wheels turn. 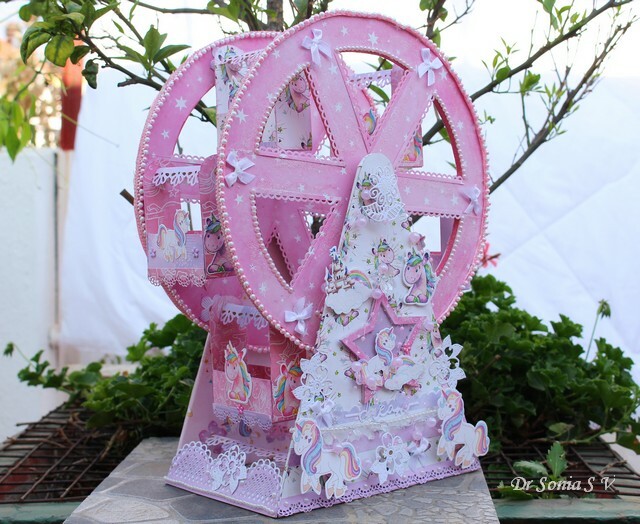 Each carriage was made using the Dress My Craft tag punches as is sturdy enough to hold little dolls! 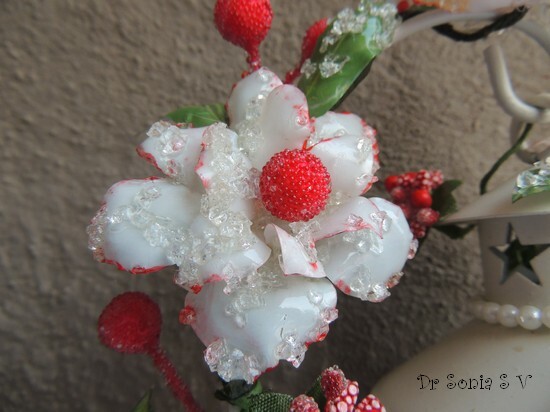 I used tiny white ribbon bows and crystal fillers from Dress My Craft as accessories! It is a fun project to make and here is a short video showing you how I made this one. 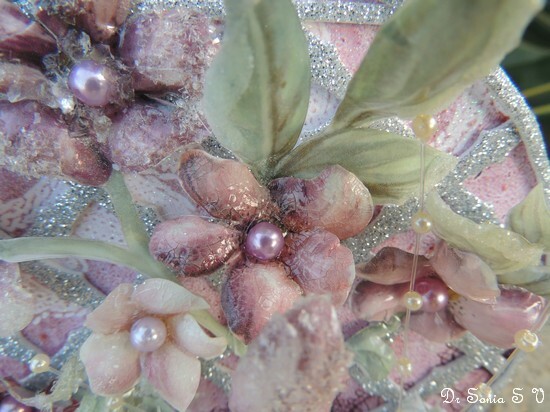 It would make a wonderful centerpiece for a special birthday party and a very special present indeed. 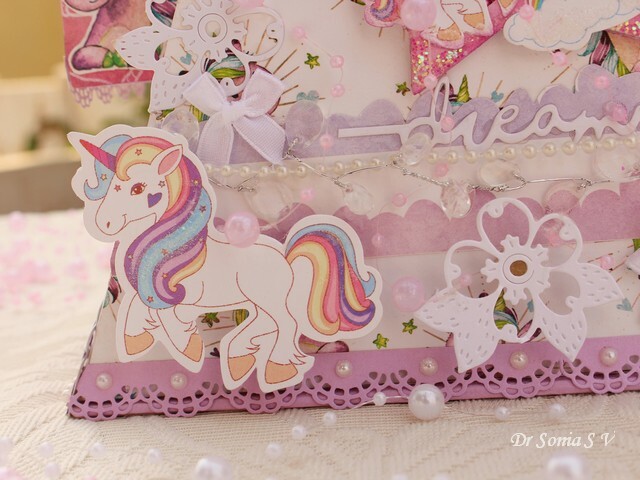 Hi crafters...hope you like this cheerful , fun and magical card which will be perfect for a child or teenager! 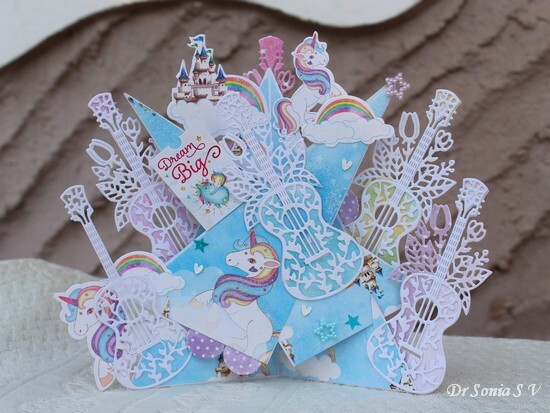 It is called a Star Effects card and is dimensional but can be taken apart for mailing and is sure to be a hit !! 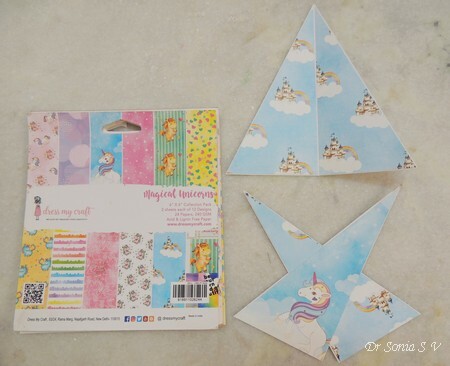 The Magical Unicorns paper collection is such a magical one and has such gorgeous images of the most adorable ponies, beautiful unicorns , castles and whimsical clouds and rainbows! 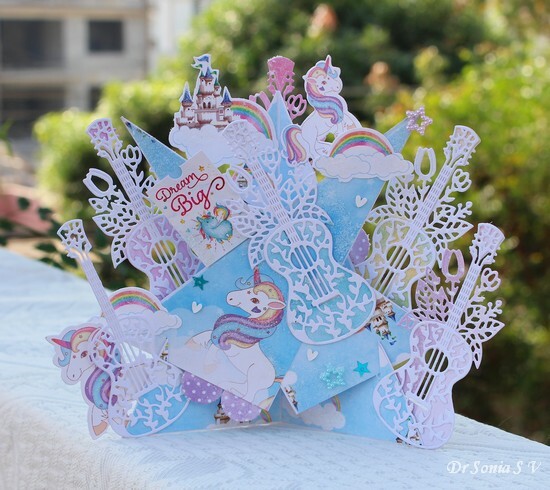 To make this style of card you actually need just a single 6 x 6 inch sheet of paper to make the 2 components of the card but if you use 2 papers you can mix and match the elements! 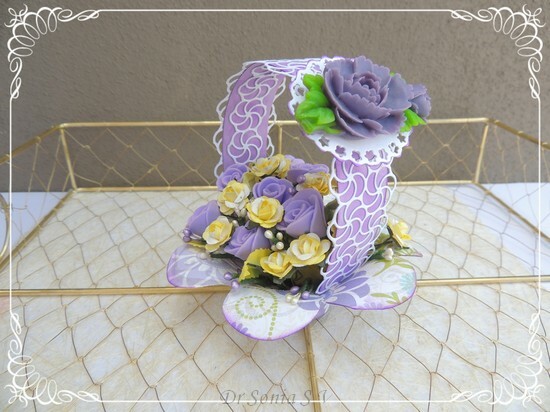 I used the Floral Guitar die from Dress My Craft. 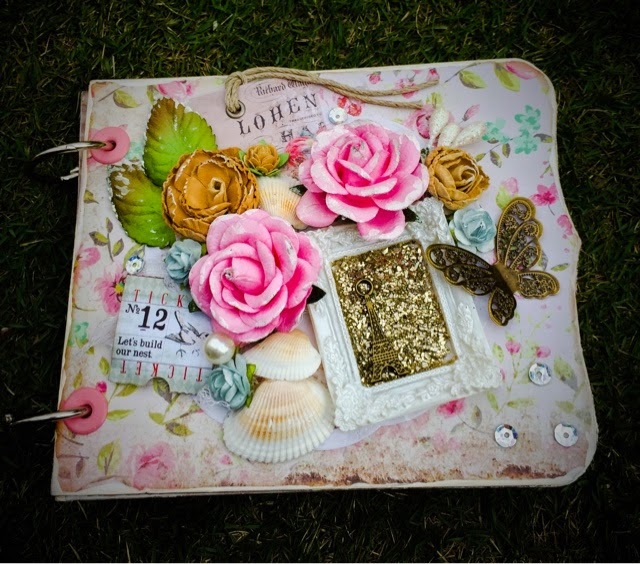 I love musical themed elements as they are so versatile...perfect to add to scrapbooks, card and literally anything handmade ! 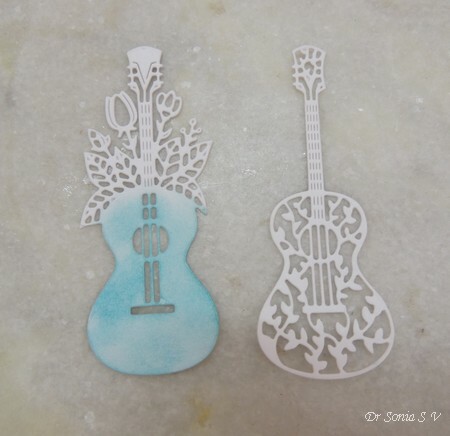 The Floral Guitar die set consists of 2 dies...a lovely background die and a delicate die you can layer on top or use as it is. 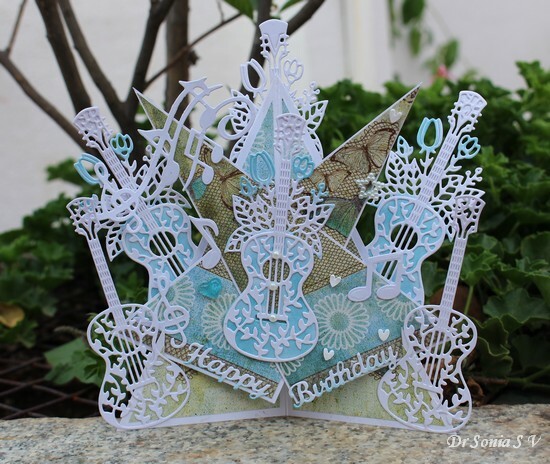 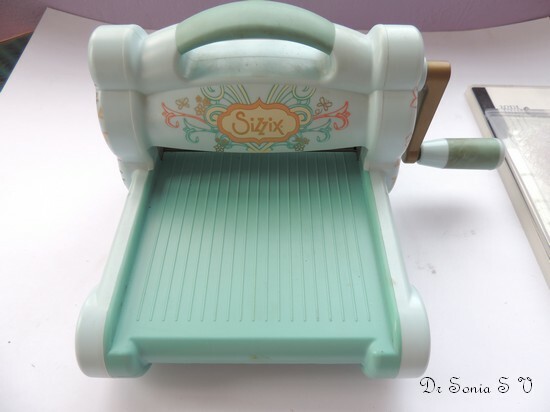 You can ink or cut the background die from a solid color paper to create beautiful layered guitars! 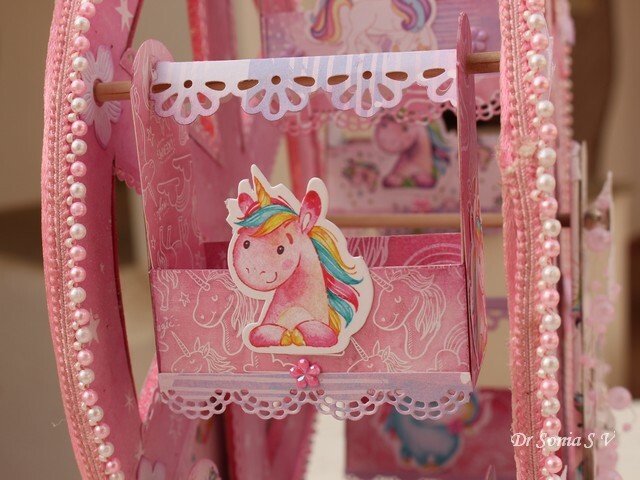 I literally went to town with the die cutting on this one. 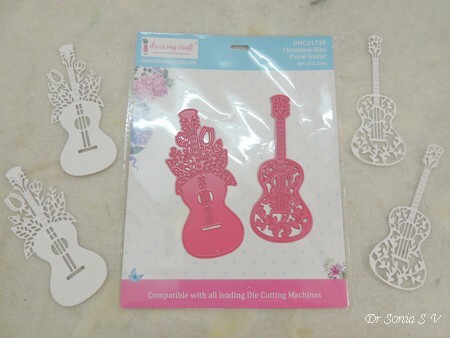 I had injured my hand some weeks back but my latest purchase from Crafters Corner...the Gemini was invaluable in die cutting all the beautiful guitars for these cards. 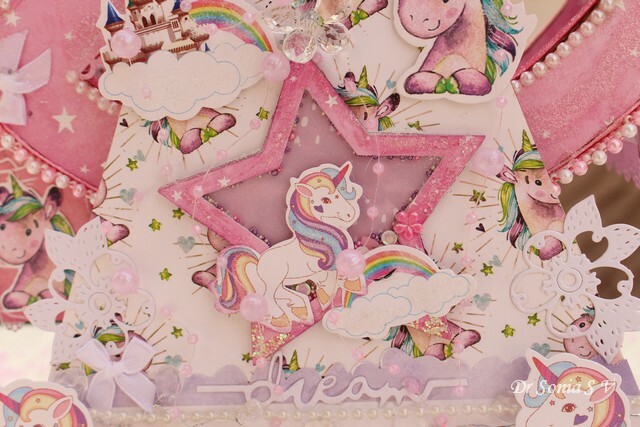 I hope you liked the Magical Star Effects Card. 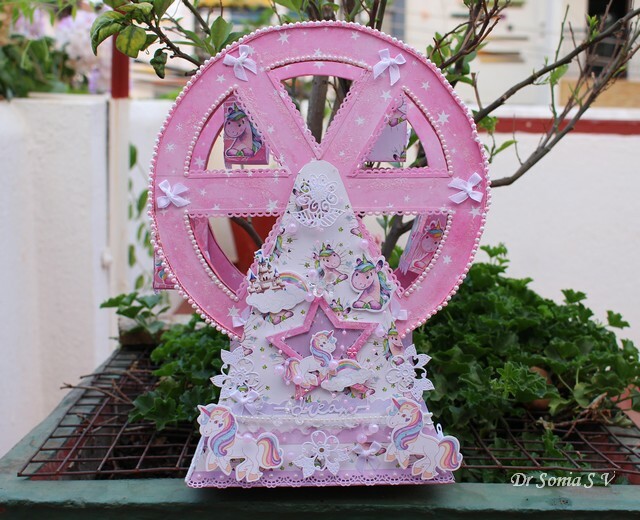 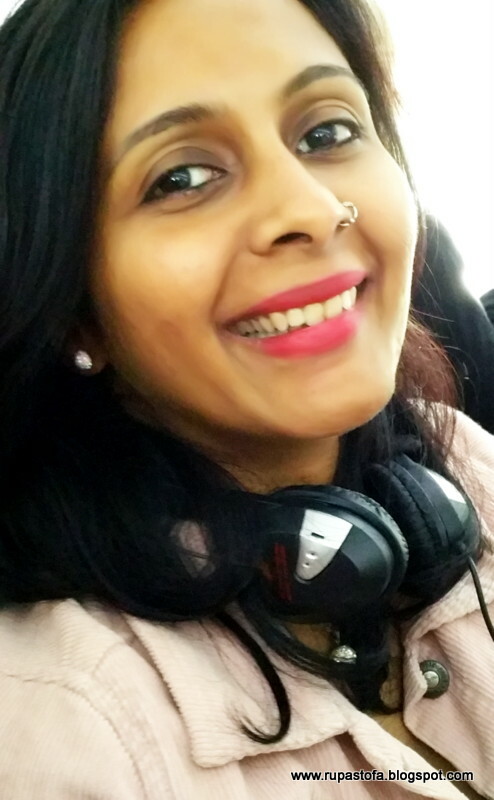 I made this for my daughter who is having her final exams and she has been working really hard for it!! 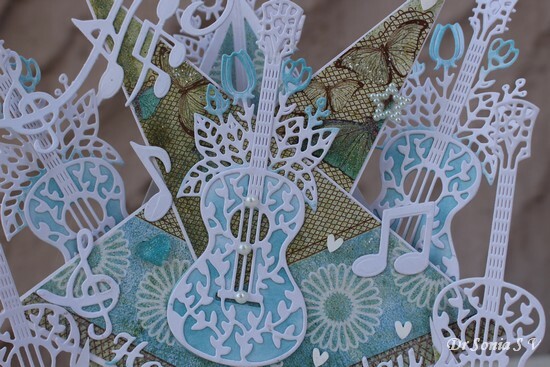 I actually made this card for my husband as like most men he loves music and the Floral Guitar was perfect as he is an avid gardener too and loves flowers!